Gloria Estefan, modern hip-hop, jazz duo Obsesión… The sounds of Havana are just as mesmerizing as the candy-colored colonials. From weekly rumba dance parties to hip concerts to bohemian cafés rich with the murmurings of old Cuban tunes, here’s a travel guide with everything you must do. Just mark our words: The rhythm is gonna get you. Hotels in Cuba are often overbooked and under-run, plus most don’t include the types of amenities Americans have come to expect--like room service, Internet and an on-site gym. Airbnb, which launched in the country last year, is definitely your best bet, offering hundreds of listings at just about any price point. For the music-minded: The owner of Casa Densil in Central Havana is friends with some of the most prominent performers and singers in Cuba, and it’s not uncommon for a few of them to drop in for impromptu concerts and sing-alongs. Don’t expect the kind of Cuban cuisine you’ve come to love in Miami. The effects of post-revolution food shortages and rations are still very palpable today. Luckily, the rise of private restaurants, called paladares, continues to elevate Havana’s food scene. One such example is El Cocinero, a hip eatery that feels more bustling Manhattan than transitioning island nation. Head to the swanky rooftop lounge for ambient nightly jazz, and order yourself a daiquiri to complement tapas-style dishes of fresh fish and spicy chickpea salad. Housed in the mansion of a former Cuban senator, Atelier is a posh paladar known as much for its collection of modern art as its eclectic menu, handwritten daily on government-issued ration cards. Musicians, artists and other well-heeled Cubans flock here for falafel, feta and tomato salad, red snapper escabèche and taro root fritters. Famous for its ropa vieja (a meat stew with vegetables) and frozen mojitos, this closet-sized paladar tucked away on a cobblestone street right off the Plaza de la Catedral serves up hearty home-style Cuban cuisine to both locals and tourists looking for good food at affordable prices. Listen closely and you may just hear church bells chiming as you eat. Callejón de Hamel is a colorful pocket of Old Havana and also the center for Afro-Cuban culture. The streets--decorated with vibrant murals and dotted with stalls selling all kinds of herbs--come alive every Sunday around noon, when rumba drummers start the beat and rhythmic chanting follows. Once they really get going, there’s not a single still body in sight. 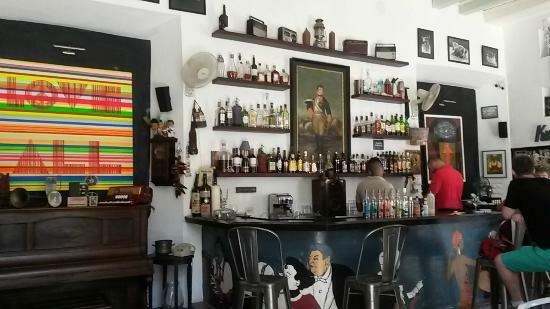 Fábrica de Arte Cubano is the premier place for edgy, boundary-pushing art of all persuasions. 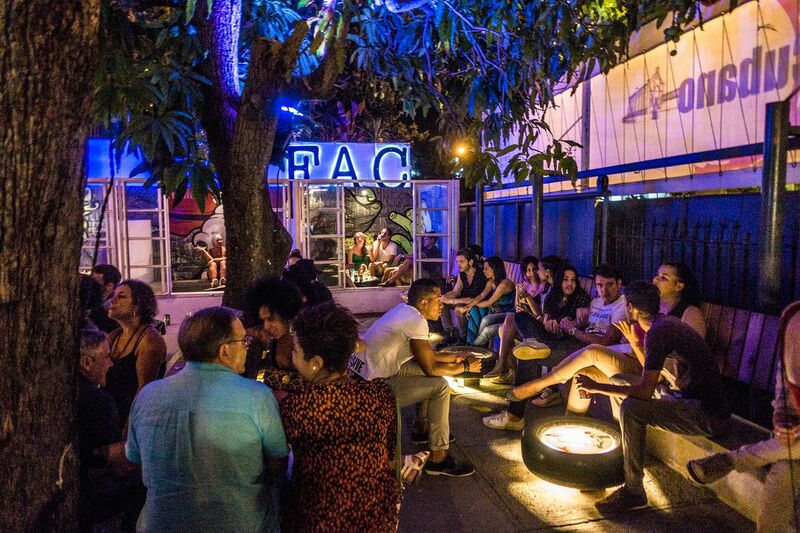 The brainchild of Afro-Cuban fusion musician X Alfonso, the Fábrica complex hosts rotating art exhibits, DJs, fashion shows, experimental theater and live music (from reggaeton to punk rock) every weekend until 3 a.m. And did we mention the multiple bars? Siá Kará Café is the kind of place you go for an after-dinner drink and end up staying for one too many mojitos. Grab a seat in a corner of the living-room-like space away from the piano and watch patrons sing old Cuban songs in large, friendly groups. You’ll be joining the chorus in no time. Checking in on Facebook. Posting that gorgeous photo of Old Havana on Instagram. Answering a few emails. Don’t count on it. Wi-Fi and 3G are basically nonexistent in Cuba and it’s no easy task to get online. There are Internet cafés, but you’ll have to buy a one-hour card before waiting for your turn on the computer. And even after all that, coverage is still spotty. 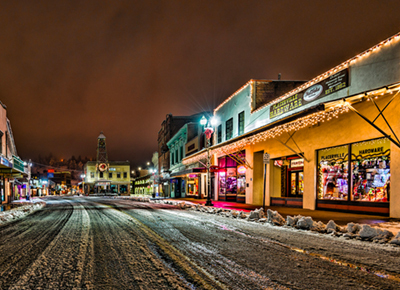 Take it as a sign to unplug during your stay and enjoy everything the country has to offer in real time. The streets of Havana are run-down and often very slick and muddy from all the rain, so it’s best to cover up your tootsies--pretty pedicure or not. Casual flats like these are perfect for walking, and the rubber soles will keep you from slipping on sidewalks. The island’s tropical climate is hot and humid, so you’ll want an airy cotton dress that breathes and has sleeves you can easily roll up. Bonus points for one that transitions seamlessly from daytime sightseeing to nighttime salsa dancing. Toilet paper is a luxury here and often MIA in public bathrooms. While there are sometimes restroom attendants willing to give up a few sheets in exchange for some cash, we recommend toting these wet wipes in your purse for situations when you’re caught without any change.